Most of us have at least one single hand fly rod. Nine foot in a four or five weight. Today the fast action rods seem to be the most popular and this PRO Series collection fits the description very well. As with all of my builds we are crafting a rod to fit your exact needs. You get to decide everything from blank to thread. 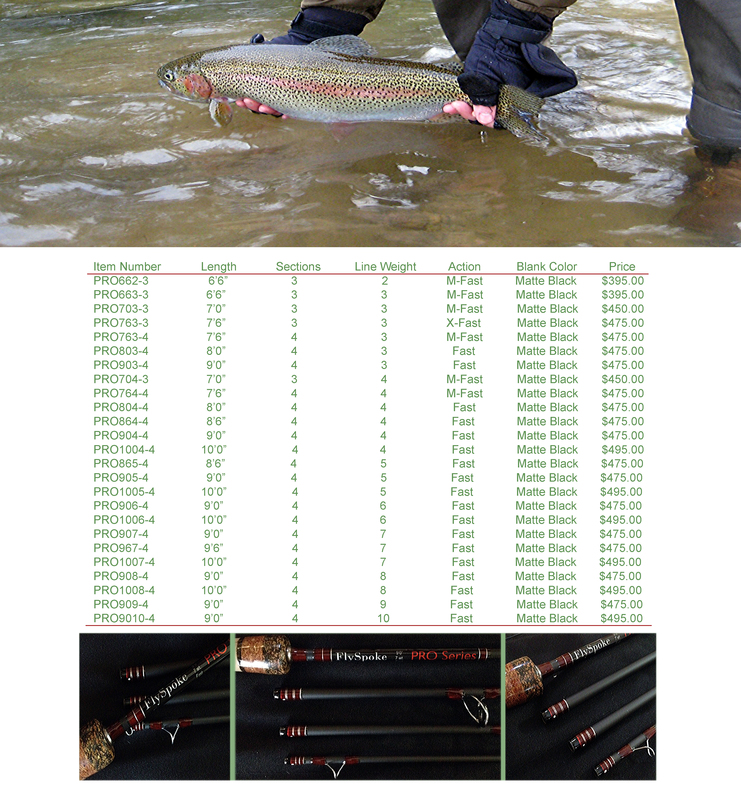 If you are a fresh water angler and want a powerful short stroke fly rod that is crisp and tracks true then this high modulus fast action collection is guaranteed, yes guaranteed, to satisfy.